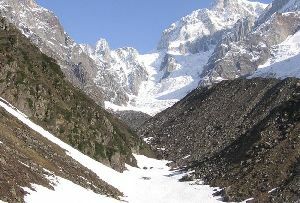 One of the holiest glaciers of Uttarakhand, the Gangotri Glacier has a special significance in the history of India as well as the history of Hinduism. 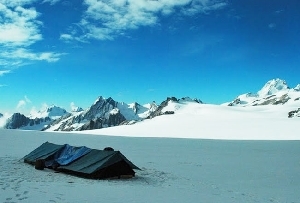 Famous for being the source of the River Ganges, one of the most sacred rivers of India, a tour to the Gangotri Glacier is considered to be one of the important pilgrimages that a devout Hindu should undertake. 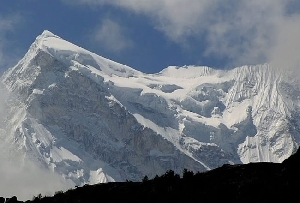 A trekker’s paradise, the Gangotri Glacier is one of the most important tourist attractions of Uttarakhand and a definite must visit while on a tour to Uttarakhand. 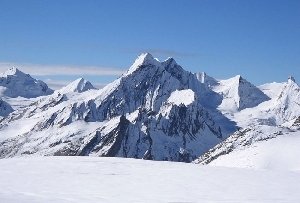 Located in the Garhwal Himalayas, in the district of Uttarkashi, the Gangotri Glacier is not a single valley glacier but a combination of a number of glaciers, which are fed into the main glacier and end up forming a huge chunk of ice. 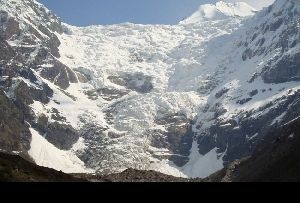 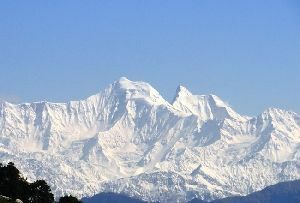 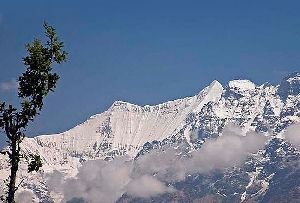 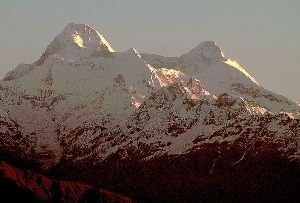 These glaciers include Hrigupanth (6772m), Kirti stambh (6285), Sumeru Parvat (6380) respectively and Ratavana Bamak, Chaturangi Bamak and Swachand Bamak. 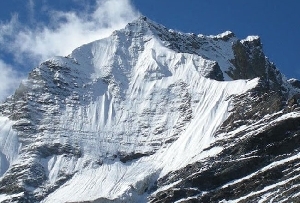 Easily approachable, the Gangotri Glacier is known for its smooth surface, which allows a smooth flow except in certain places where ice walls and crevices have developed over the ages. 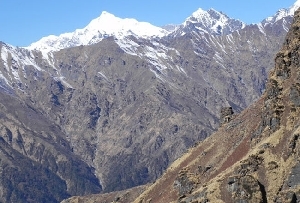 The route which leads to the Gangotri Glacier is picturesque and culminates to reach the famous Gangotri Temple, one of the most respected temples in Uttarakhand.